Let's get technical for a few paragraphs here. There are two primary colon cancer drugs that are used alone, or in conjunction with other drugs to treat colon cancer. Last year I did FOLFOX on its own, as adjunct chemotherapy, or "preventative" chemo. Or as I liked to describe it, "just in case" chemo. Turns out I didn't need to do it "just in case" because cancer had already taken root in my lung. And this regime is most effect as a "preventative" treatment, not for cancer that has already planted itself firmly in the body. We are in agreement with my doctor that this had indeed started to grow before I began getting treatment. And though my oncologist did order an additional CT scan before I started treatment just to double check my lungs, nothing appeared to be enlarging at the time. He made the right call for the information we had at the time. Though FOLFOX did not kill what was growing, it did keep it from growing. It was only after I finished treatment that it took a dose of Miracle Grow and started entertaining us all on my scans. Does this mean my last round of treatment was futile? Um, I'd like to think all that misery and disruption wasn't useless. I'll pretend that it did indeed kill any rouge cancer cells still looking for a home and move on. It's far enough behind me now that I can't really be bitter. Maybe I'll just consider it a training run for the real marathon. The treatment I will do this time is called FOLFURI; A far more effective treatment at stopping cancer's growth and killing it. It will be used in conjunction with a drug call Avastin, a very popular, successful, widely used and expensive cancer drug. Avastin is used to treat a variety of cancers, and it's mighty miracle is cutting off the blood supply to tumors. So FOLFURI will kill it and Avastin will cut it off at the source. Like a little tag team wrestling. Because I don't have any of the gene mutations for colon cancer (KRAS mutations), there are additional drugs that are also options; what I like consider a back-up plan. I'm gratefully not in a situation where treatment options are limited. Being back in the oncology building for more than just a routine check up was definitely unnerving. Come to think of it, I have yet to go see my oncologist for a routine check up. Every visit has been met with disappointing news. I took the last anxiety pill I had left just a few weeks prior when we went in for my latest CT scan results and forgot the ask for a refill. I walked in there on pure raw nerve, unassisted by the very pills I normally rely on to get through those doors without eyeballing every trash can in the joint. Though I've righted my sailboat in the last week and am sailing in smoother waters, there is always a chance for a brief rain storm here and there. While waiting to see the doctor, my beloved infusion nurse walked by and it all came flooding back. I waved and she came over to ask why we were there. That was all it took for my sailboat to list to one side. Tears are normal and tissues are plenty in that building. It was mere seconds before she was hugging me and a box of tissues was rushed to my side. Being a nurse is one thing. Choosing to be an infusion nurse is something special, and she has what it takes. It's a job with guaranteed heartbreak. Treatment will start the first week of April. There is a slight delay only because we have a date with some tropical fish and warm Caribbean waters in a few weeks. Upon our return, I'll head over to the hospital to get a medi-port put in. I know, I know, I rejected the idea of a port last time. I didn't want this thing in my chest staring back at me in the mirror. I didn't want another scar. I didn't want my cuddly baby to lay his head on my bony chest and feel some bump. I didn't want a lot of things. I really didn't mind the PICC line and don't regret it for a second, but this time I'm looking at a much longer journey. And I'm looking at season tickets to the water park. And a boy who is far braver in the ocean that I want him to be. And paddle boarding adventures I don't want to miss. And a child who thinks he's a stronger swim that I know he is. And mud runs I may need to sign up for. I'm looking at another summer where sitting on the edge of the pool or with my feet firmly planted in the sand won't be an option. I need to be waterproof. Just like last time, I'll get infused on a Wednesday and go home with a pump till Friday. I'll bury that beast under a pillow as I climb into bed, as its faint pulse makes me sick. I'll start out getting treatment every other week, but as was the case last time, my white blood cells will probably only be able to hang on for so long before it becomes every 3 weeks and I start getting those booster shots that make me feel so very special. The side effects aren't as intense with these drugs, or so they say. But if nausea and vomiting are side effects, then they are intense enough for me. 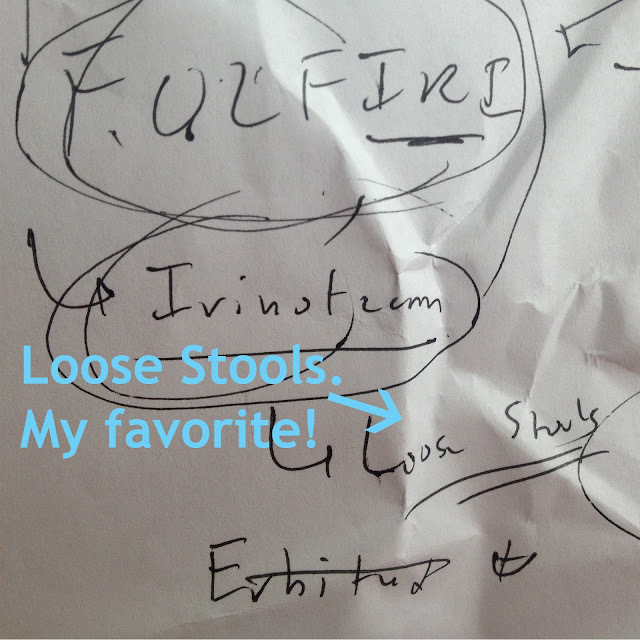 There are random things like mouth sores and fatigue and my other favorite, loose stools. Supposedly my hair will hang on again. And I won't have any neuropathy or cold sensitivity, so I'll be able to run without falling and walk in wedges without looking like an idiot. I'd like to think that I will find a renewed passion for sleeping with a puke bucket, but I'm not hopeful. Knowing that I'm not making myself sick "just in case," but because it really is a matter of life and death will hopefully make me find a passion of sickness. I will spend another 6 months getting infused, with a CT scan in about 3 months to see how how my tumor is reacting. After that, assuming that all is well and good and successful, I'll move on to maintenance chemo. I'm not going to even inquire about what that entails yet, as I only want to focus on our immediate path. There is great hope that this will stop and kill and end cancer's growing existence in my body. I've read countless stories of people in my very shoes who are YEARS out from treatment and living a colon cancer-free life. I have every reason in the world to believe I will have a story to tell years from now as well. Thanks. Rereading that blog after the fact showed me that I really had no clue what a rough ride FOLFIRI would really end up being.